After the success of ‘The Play Goes Wrong’, Mischief Theatre’s British creators Henry Lewis, Jonathan Sayer and Henry Shields came up with ‘Peter Pan Goes Wrong’, another disastrous evening with the fictitious Cornley Polytechnic Drama Society ruining a production of the much-loved J.M. 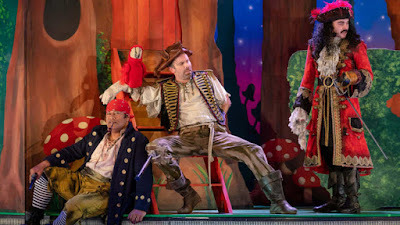 Barrie play, ‘Peter Pan’. The fun commences well before the performance actually starts while the audience is being seated. The show’s crew and cast are clearly not ready for the performance and the stress that they are experiencing soon amusingly involves audience members. Things start going very wrong as soon as the play commences. The physical and verbal gags quickly mount up as the cast do their best to give a straight delivery of the play while the ‘backstage crew’ desperately try to fix things as much as possible without the audience knowing. Tensions between cast and crew members add spice to the fun. 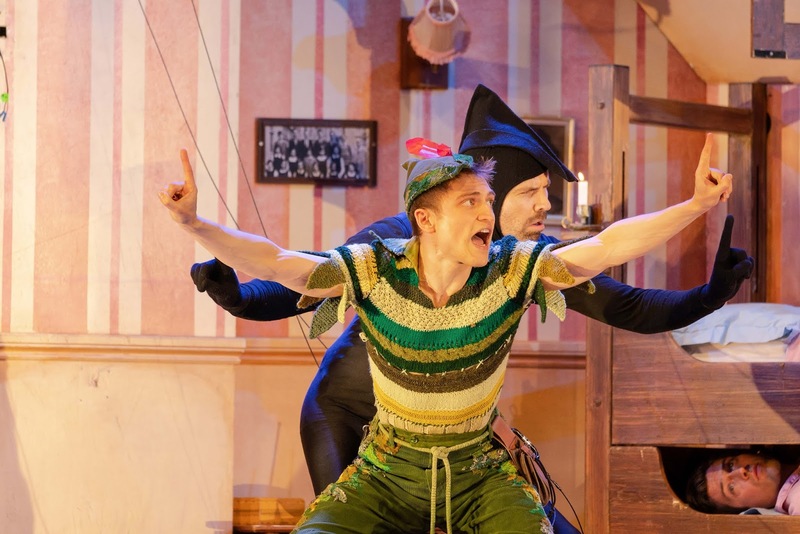 The beautiful revolving set design by Simon Scullion creates the perfect environment for this classic play but it’s full of hidden traps for the hapless cast members – doors that won’t open, windows that fall out, stairs that break and so on. The fairy-tale costumes by Roberto Surace contrast nicely with the dowdy crew costumes and the complex lighting design by Matt Haskins adds tremendously to the fun of the show. The songs by Richard Baker and Rob Falconer are melodic and sugary sweet with some unexpectedly funny lyrics. There seems to be no limit to the wicked imagination of the creators of this show. Director, Adam Meggido, keeps the action fast and furious and his ensemble cast give uniformly excellent performances. With great energy and comic skill, they each present vivid characters and perform with razor-sharp, split second timing. 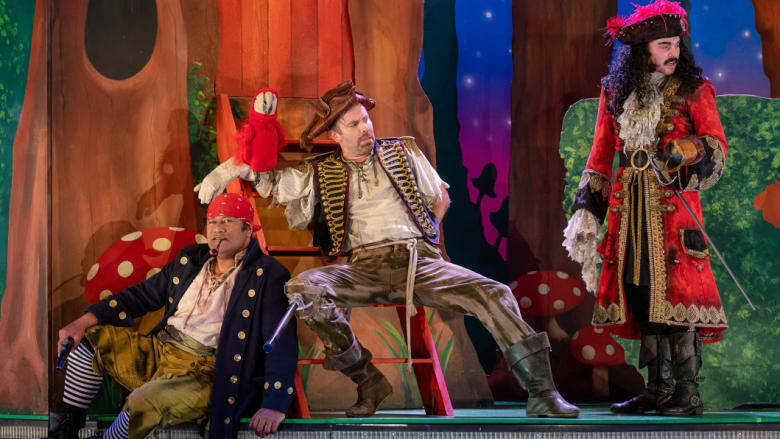 ‘Peter Pan Goes Wrong’ is a delightful and farcical show that kept the audience in stitches right to the end. Those audience members who lingered in the auditorium after the show finished were treated to a lengthy sound and voice gag that was worth staying for. This review was first published in the Canberra City News digital edition of 7 February 2019.